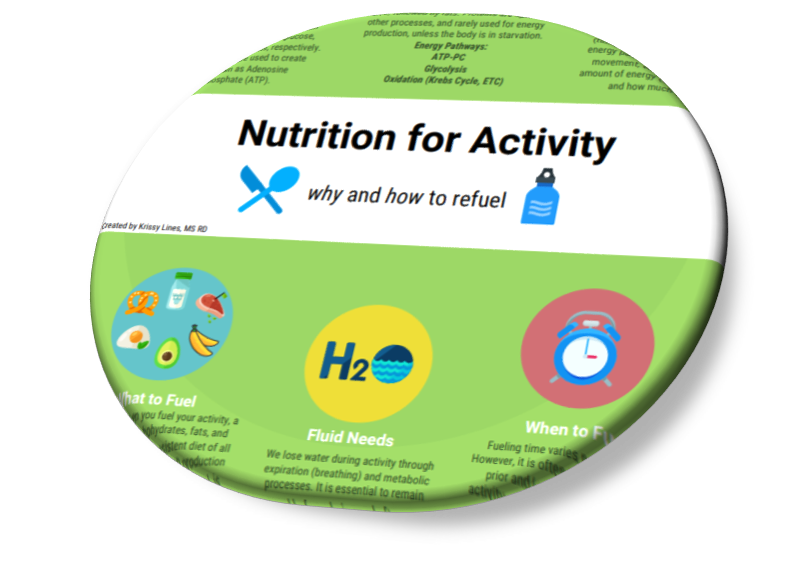 Help your patient/client learn the appropriate method to fuel their body for activity or sport through this infographic! This tool sets up the provider to explain the why and how behind fueling our body through food. Sections included are: Energy, Energy Utilization, Intensity and Duration, What to Fuel, When to Fuel, and Water Needs. Each section includes visual graphics and explanation of how the topic fits into the body’s need for energy to fuel activity and sport. Great for athletes and eating disorder patients desiring return to activity with recovery.